Advocacy means the act or process of supporting a cause or proposal. Advocacy works to influence the introduction, enactment, or modification of legislation, for causes related to kidney cancer. Advocacy can occur at the Federal or State level. From time to time, KC Coalition asks you to raise your voice on behalf of kidney cancer patients and their families.This may entail contacting your legislator, sharing your kidney cancer experience and asking him or her to vote a specific way on a bill. Are you willing to you help KC Coalition advocate on behalf of the kidney cancer community? Maybe you want to visit your representatives in D.C. with us? Perhaps you could write a letter, or send an e-mail? Can you pick up the phone and call your representatives? Click here to sign up for Advocacy alerts and announcements of key federal and state issues important to our kidney cancer community. We had a dynamic group of kidney cancer patient advocates meet in Washington, DC to attend an educational seminar and briefing on policy advocacy issues impacting the kidney cancer community. Hosted by Bryan Lewis, Kidney Cancer Action Network and Kidney Cancer Coalition, we had an ‘inside the beltway’ discussion on the current political landscape including updates on the appropriations process, the NIH/NCI funding, the Congressionally Directed Medical Research Program (CDMRP) and the Kidney Cancer Research Program (KCRP) in particular. 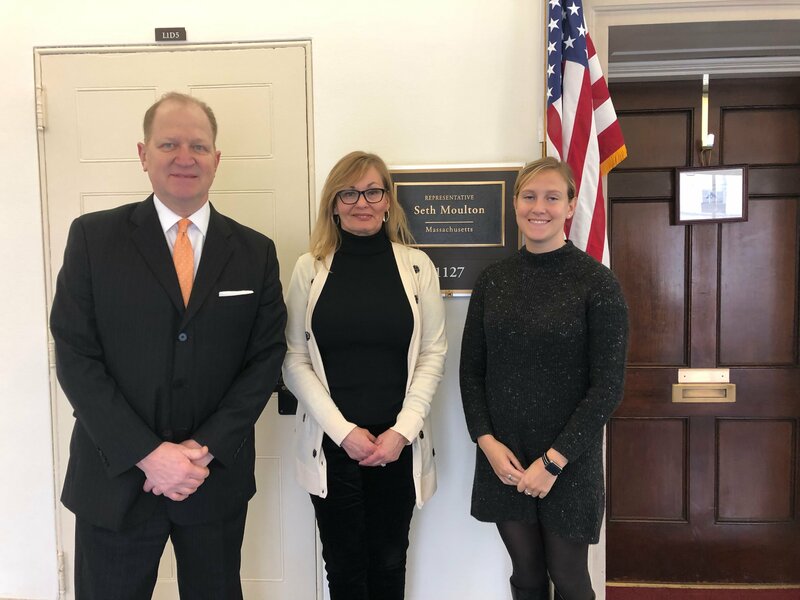 Patient advocates were able to craft their stories and prepare for meetings with Hill staffers after hearing what to expect and how to deliver a strong message on behalf of the kidney cancer community. On September 28th, 2017 the President signed into law the Defense, Labor HHS spending package. Included within this historic bill is the Defense Health Program that has increased the funding for the Kidney Cancer Research Program pursuant to the CDMRP from $15 million to $20 million annually. The Kidney Cancer Coalition and The Kidney Cancer Action network led the charge for the increase to this important program.